Beginning in December, the LCA will install black seats to replace the current red ones. DETROIT, Mich. - Little Caesars Arena is doing away with its red seats and will replace them with black seats. LCA announced Monday it will begin a months-long process of installing black seats beginning in December. During the changeover, the seats in the arena will be covered with black seat covers for arena events. LCA opened in September 2017. 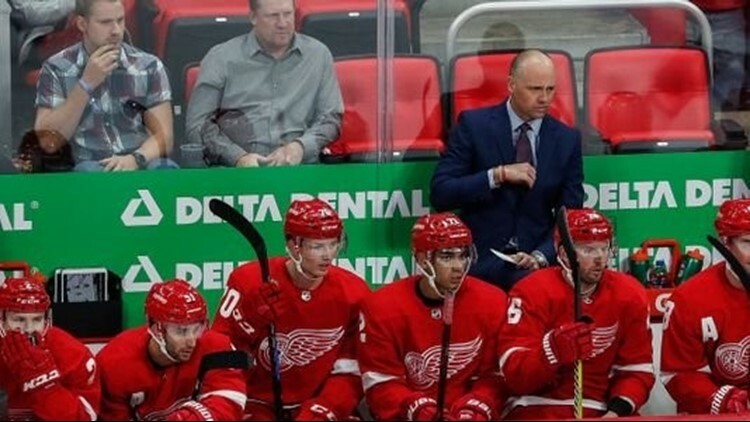 The red seats have been noteworthy for highlighting empty seats during Detroit Red Wings and Detroit Pistons telecasts, although both franchises say fans are dispersed throughout the arena in clubs and bars. The Pistons had a sponsorship deal with Art Van Furniture last season that allowed black seat covers with the Art Van logo for seats in the majority of the lower bowl. The black seat covers were on display Monday for the Pistons’ preseason opener against the Brooklyn Nets, but there wasn’t a sponsorship logo. The installation is expected to be completed in phases. Work will be conducted during non-event times. “When the Pistons agreed to move downtown Detroit, many design features were either finalized or already in production,” Ilitch Holdings representative Chris Granger said. “We very much value our partnership with the Pistons organization and have made this decision together. This change is also made with support and input from industry-leading concert promoters and our television partners, Fox Sports Detroit. This story has been corrected from a previous version. The red seats will be replaced in the entire arena.